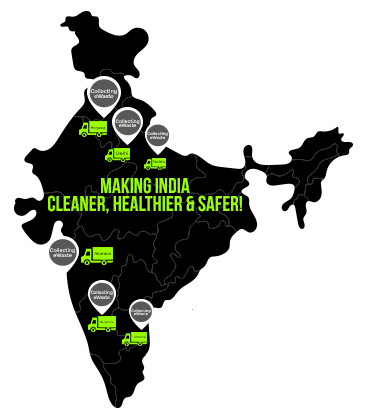 The CLEAN e-INDIA Initiative, launched by Attero, aims to establish an integrated eWaste Consumer Take Back Program to help ensure organized collection, management and recycling of electronic waste in a responsible and sustainable manner. The initiative is being rolled out across major cities in the country, which are one of the primary sources of electronic waste generation. The initiative is working on integrating the informal sector into the organized supply chain, while also helping set up a widespread consumer eWaste collection network. The eWaste collected under the CLEAN e-INDIA Initiative will be processed in an environmentally responsible manner using clean technology. Consumers will also be incentivized for being a part of this initiative and disposing their eWaste. About Attero: A NASA recognized technology innovator, Attero is India’s largest electronic asset management company. As a pioneer in the electronic waste management sector, Attero has been spearheading efforts to tackle the eWaste issue through its 360 degree approach. Powered by disruptive clean technology, Attero is the only Indian company, and one among seven globally, with the capability to extract valuable resources from eWaste in an eco-friendly manner. Visit www.attero.in to know more. 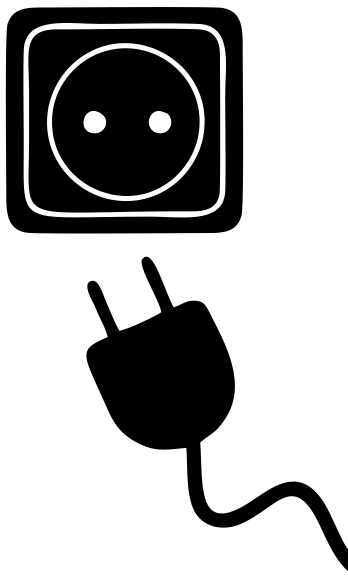 Have an electronic device (such as mobile phone, laptop, television set) you don't use anymore? 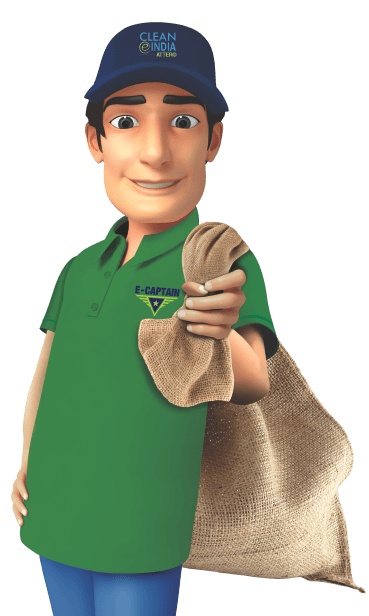 Our e-Captain will collect your eWaste from your doorstep and incentivize you for your contribution to a greener planet. The collected eWaste will be packed and sent to Attero’s state-of-the-art recycling facility for safe and responsible processing. © 2017 CLEAN e-INDIA, All Rights Reserved. Please read the following terms and conditions carefully before placing your enquiry from our website www.cleaneindia.org. References to "you", "user" shall mean the end user accessing the website, its contents and using the functionalities offered through the website. "We", "us" and “our�? shall mean "CLEAN e-INDIA�?. i. You are a resident of India and are accessing the website from any part of India. ii. You are legally competent to enter into a binding contract as per the Indian Contract Act, 1872.
iii. You are voluntarily sending the electronic device to us and that all actions taken by you under these terms and conditions are voluntary actions without any undue force or coercion by any third person. i. You agree that you are the legal owner of the electronic devices sent by you to us and that all the rights, interests and titles in the electronic device vest in you. Further, you agree that you have not transferred or assigned any rights, title or interest in the electronic device to any third person. iii. You agree to the terms and conditions of the sell order. i. By submitting the sell order to us you warrant that the electronic device(s) you give to us is as per your sell order and we will not take the service of uninstalling the electronic devices. ii. You warrant that before giving the electronic device to us, you shall cancel any contract linked to your electronic device. We are not responsible for any costs arising before, or after, receipt of your electronic device, or arising from any other circumstances whatsoever. iii. You agree to ensure that the SIM card, data card or storage devices of the electronic device is removed before sending it to us. We shall not be liable for any charges or costs incurred in the event that any card or storage device is sent with an electronic device. You shall continue to be responsible for such charges. iv. Electronic devices collected through this initiative can be re-used or recycled. i. True and accurate information: You agree that all the details provided by you during the disposal process and further while placing the sell order is true and accurate without any misrepresentation. ii. Placing the sell order: While placing the sell order you agree to strictly abide by the instructions printed on the back of the application form or the website. iii. 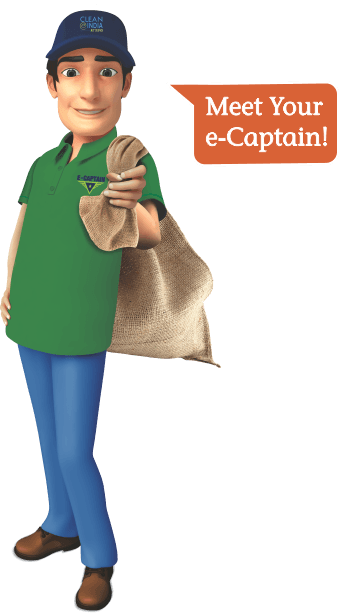 Pick up: Our e-Captain will come to collect the electronic device (s) from your place and provide you a receipt for the same. The e-Captain will have an identity card and it is the responsibility of the user to verify his credentials. iv. Electronic device values: You agree and acknowledge the value of the electronic device offered by us. Further you agree that electronic device values offered by us are subject to change without any prior notice to you. v. Payments: While disposing the electronic device (s) you have an option to receive payments via cash, vouchers or any other mode of payment as applicable at that time. Vouchers will have their own terms & conditions. vi. You can also opt to donate the electronic device(s). Please note that the payment option cannot be changed once the sell order is executed. Payments will be made by us at the time of disposal of the electronic device (s). vii. Amendment: The terms and conditions on our website including but not limited to electronic device values offered may be changed any time at our sole discretion without any prior notice to you. Hence it is your responsibility to keep yourself updated about the new terms and conditions. Any losses incurred by you due to your failure to keep yourself updated of the new terms and conditions shall be borne by you and we shall not be liable for the same. viii. Indemnity: You agree and acknowledge that by giving your electronic device to us, you agree to release us from all and any claims, losses or damages that may arise with respect to the electronic device including but not limited to any claims related to the ownership of the electronic device and any data stored in it. In the event of any claims that may be brought against us, we have the right to terminate the contract with you immediately without any prior notice. Any data stored or contained therein or on any media used in conjunction with the electronic device ("Data") will be erased by us and we will not be responsible for any losses incurred by you due to the removal or loss of any such Data. ix. Further, you agree that to the maximum extent permitted by applicable law, we shall not be liable for any indirect, special, incidental, consequential or punitive damages or losses, which may be suffered by you with respect to the subject matter hereof and our total liability in any event shall be limited to a total amount equal to the value of the electronic device as determined by CLEAN e-INDIA. x. You agree and acknowledge that we will not be liable or responsible for any failure to perform, or delay in performance of, any of our obligations under these terms and conditions that is caused due to or by events outside our reasonable control (‘Force majeure’ events) or due to our compliance with any applicable laws or regulations. The term “Force Majeure�? shall include war, rebellion, civil disturbance, earthquake, fire, flood, strike, lockout, labor unrest, acts of governmental authorities, acts of God, acts of the public enemy and, in general, any other causes or conditions beyond our reasonable. If any event of force majeure continues for more than five (5) calendar days, either you or we may terminate the contract upon written notice to the other party. xi. The collection will be done by third party, we will not be held responsible for any mishappening/incident at the time of collection. The collection date and time may vary without prior information. xii. Consumer would be responsible for ensuring all society/residential colony clearances as required. For collection from users (below 18 years), prior consent of parents/guardian is required. ii. You agree that you cannot terminate the contract at any time after giving the electronic device(s) to us. iii. You acknowledge that we have the right to terminate the contract with or without reasons anytime without any prior notice to you except as provided under clause D (v). This contract shall be construed and interpreted in accordance with the laws of India. Any controversy or claims or disputes arising out of or relating to this Agreement, the claims of breach of this Agreement or interpretation hereof shall be subject to the exclusive jurisdiction of the courts of Delhi. You agree that a contract will be concluded between you and CLEAN e-INDIA, only when we, upon receiving the electronic device given by you confirm to the terms and conditions of the sell order and make the payment to you as per the option selected by you. You agree that such contract shall be binding on the User’s and CLEAN e-INDIA successors and assignees respectively. CLEAN e-INIDA takes your privacy seriously. Your personal information will not be sold or otherwise distributed to third parties. CLEAN e-INDIA is not a source of unsolicited email. This policy covers what personal information CLEAN e-INDIA collects, how that information is collected and why we need it. Personal information is information about you that is personally identifiable like your name, address, email address, or phone number, and that is not otherwise publicly available. This policy does not cover the practices of companies other than CLEAN e-INDIA or people who are not employed or managed by CLEAN e-INDIA. Third party sites provide the services listed on CLEAN e-INDIA and these sites have their own privacy statements and are not covered by this policy. 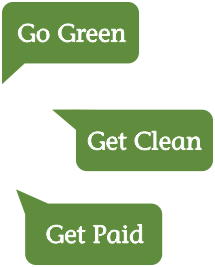 Providing your email address to CLEAN e-INDIA is optional and used solely to update you with new products and services that our site has to offer, or to respond to the queries you have sent. CLEAN e-INDIA automatically receives and records information on our server logs from your browser, including your IP address, browser type, and the page (s) you request. 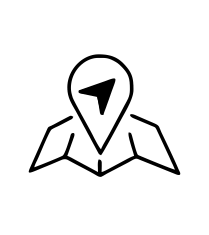 This information is collected anonymously and is used to better understand how people use our site and improve its performance. 1. We receive a subpoena, court order or other legal demand for your information. 2. We believe it is necessary to share information in order to investigate, prevent or take action regarding illegal activities, suspected fraud, or as otherwise required by law. 4. Some of our services allow you to make certain information public or accessible to certain individuals. If you make use of these services CLEAN e-INDIA will share your information as per your request. 5. Some of the data is accessible by the implementation partners of CLEAN e-INDIA, who are bound by confidentiality agreement to not share the data with any other party. Cookies are a standard Internet technology, and many major websites use them to provide useful features for their members. Cookies allow us to store and retrieve login and other information on a user's system. They provide us with data that we can use to improve our service to you. Cookies themselves do not personally identify users, although they do identify a user’s computer. The default setting for most browsers is to accept cookies; if you prefer you can set yours to refuse them. If you choose not to accept cookies you will not be able to take full advantage of CLEAN e-INDIA. What Happens if CLEAN e-INDIA Makes a Change to This Policy? If you have any questions about this privacy statement, the practices of this website or your dealings with it, you may get in touch with us through the Contact Us page. If you no longer wish to receive updates on the products and services that we offer then please send an email from that address with the word ‘unsubscribe’ in the subject.